Let me start this article off by saying, if you have a choice, always pick daytime driving over the night. There isn't a doubt that travelling during the day is a far safer option, especially in India. Plus, after driving all night, it’s not like you are going to have much of a productive day anyway. Over & above the night-specific advice offered below, you must follow all guidelines outlined in the Safe Highway Driving Article. Poorer Visibility! The visibility factor is down to less than half at night. However powerful your headlamps might be, they simply can't compete with the sun. Colour perception is reduced too, as headlights don't emit anywhere near as wide a light spectrum as the sun. You won’t see that nasty boulder in your path from as far away as during the day. Drowsiness – a top cause of accidents – is at its peak. Remember, we aren't a nocturnal breed; our body is hardwired to rest in the dark hours. Even if you are fresh yourself, do you really want to be sharing the road with a truck driver who has put in 18+ hours behind the wheel without sleep? Those driving with their high beams on can blind you on single lane highways (lesser of an issue on expressways though). Higher probability of Drunk Drivers. With no police enforcement to curb alcoholics on the highway, and a general tendency to drink in the evening, the night brings more drunkards on the road. Steeper crime rates. Crime is most rampant when there are lesser people around and the chance of getting caught is minimal. 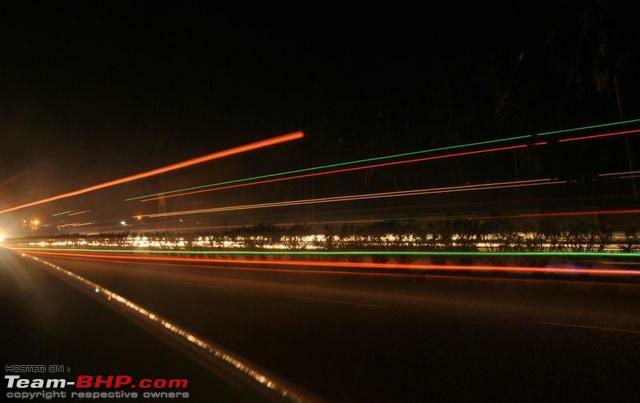 Indian highways have higher instances of criminal activity at night. Weak OEM headlamps! Many Indian cars just aren’t capable of cruising safely at night, due to their weak factory headlamps. Few car owners ever get around to upgrading their inadequate OEM bulbs. Several vehicles don't have properly functioning headlights, tail-lights and brake lamps. Combine this with reduced visibility in the dark, and it's a recipe for disaster. Think of the number of times you've heard of someone driving into a parked truck at night. That doesn't ever happen in the day. Poor medical support. Post-incident injury treatment is pathetically slow on Indian roads. The number of injured people who die between the accident time & them reaching the hospital is shockingly high. Medical support is slower at night when staff members are in shorter supply. Poorer breakdown support. 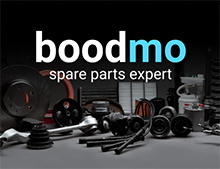 If your car should suffer a mechanical failure, garages open for service will be few & far between. Difficult to find good places to eat. There aren't too many restaurants serving clean, hygienic food all through the night. The choice is limited. Not too many people on the road to ask directions from, in case you get lost. You’ll usually achieve a higher average speed, despite maintaining a lower top speed. Primary reason = Lesser traffic. Lower probability of bullock carts, three wheelers, cyclists & animals on the Highway. Cooler air = Better engine! The density of cool air is higher than hot air. Thus, you end up with a superior burn, resulting in better performance. The engine feels noticeably crisper at night. Higher fuel efficiency due to lesser traffic & cooler air. You can see a vehicle coming around a blind corner due to its headlamps (assuming the vehicle has its headlamps running). This is down to personal tastes, but I find night driving very enjoyable. The pleasure of empty roads, cooler weather, crisper engine, feeling one with the car and some nice music playing is unmatched. However, safety comes first and it's best to limit night driving to as little as possible. Your eyesight gets weaker with age, especially in low light conditions. If you have troublesome vision, you should be driving to the Optometrist and not the highway. Your eyesight has to be perfectly healthy for night driving. You MUST be well rested. If you think you’ll be able to drive perfectly after a long day at work, well, you're just wrong. Don't eat a heavy dinner and avoid food that's rich in carbohydrates (e.g. rice). Carbs make you sleepy. If you own a vehicle with suspect reliability, don’t take it out on the highway at night. Check all lights of the car. If your car has poor OEM headlamps, get the bulbs upgraded. Ensure that your headlamps aim correctly. Headlamp alignment is a quick fix at the service station. If you are a DIY kind of guy, view Rehaan's excellent post here. Powerful headlamps are useless if they are out of focus. Remember to always carry spare headlamp bulbs & fuses with you. Clean your lights (including headlamps, fog-lamps & tail-lamps), and your mirrors too (external & internal). 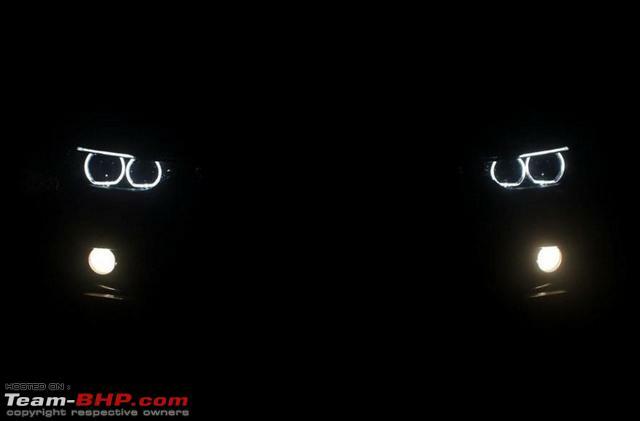 There's a massive difference between the effectiveness of clean and dirty headlamps. A dirty, greasy or scratched windshield will diffuse incoming light and amplify the blinding glare. When it comes to visibility, a clean windshield is as important as having good headlamps. Ensure that your windshield is clean inside and out. Be sure to clean all other glasses as well (side windows, rear glass etc.). Your car should NOT have tinted sunfilm on the front windscreen; frontal vision has to be crystal clear. Your side windows shouldn't be too dark either. Switch the cabin lamp off as it limits your exterior vision, by causing more internal reflections on the windshield & windows. Dim out the instrument console. Most modern cars have a dimmer control for the dashboard lights. Ensure that your doors are securely locked before hitting the highway. Between relaxing music (that’ll put you to sleep) and peppy music (that’ll keep you on your toes), choose the latter. Stick to National Highways & Expressways with a median (road divider). Try to avoid single lane highways as much as possible. Yes, you should completely forget about lonely diversions or isolated village roads. Stick to roads that you are familiar with. 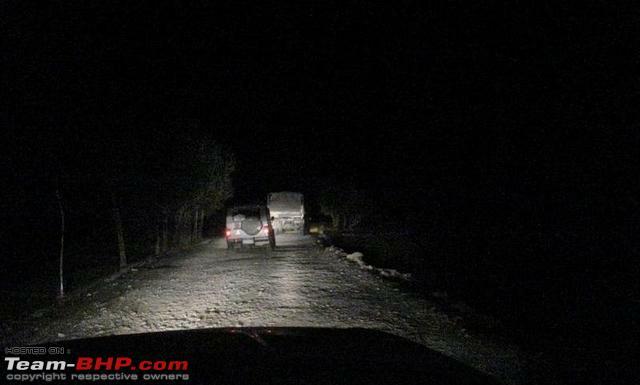 Night driving on unfamiliar tarmac is even more dangerous. Get local intelligence on instances of dacoity for the intended route. As an example, those from Maharashtra will be well aware of rogue incidents on the Panvel bypass & approach road to Shirdi. Avoid driving alone. At least one passenger in the car should be awake and in the front seat. This passenger can serve as an extra set of eyes, and also be on the lookout for any signs of driver fatigue. If you have multiple drivers, drive in shifts. While one drives, the other can catch some Z's. Drive at a much lower speed than you would on the same stretch during the day. Due to poorer visibility, it's difficult to anticipate unwanted obstructions well in advance. Night driving requires a higher level of alertness. Remain sharp & focused. Also, it's not as easy to judge the speed of oncoming vehicles at night. Overtake only when 100% sure. Keep blinking ever so often. Don’t let your eyes dry up. Don't focus on a single object or the same part of the road / markers for an extended duration. You might suffer from highway hypnosis. Keep moving the focus of your eyes every couple of minutes (More Information). Be extremely cautious at junctions as they are difficult to spot at night. With no traffic lights, drunk and callous motorists are known to just drive through intersections, without any regard for others. Use the day / night feature of your internal rear view mirror if the headlamps behind (from the following car) are blinding you. I prefer to switch them back to day mode after the situation has improved, as day mode provides a better view of what's happening behind. Along with a mild honk, flash your high beam during overtaking. This will sufficiently communicate your presence & intention to the other vehicle. If you need to make an emergency stop (e.g. puncture), move your vehicle as far off the road as possible. Keep your parking lights on and activate your hazard lights. If your car has a reflective warning triangle, place it at least 40 meters behind your car to warn oncoming motorists well in advance. Be conservative with your refueling plans. 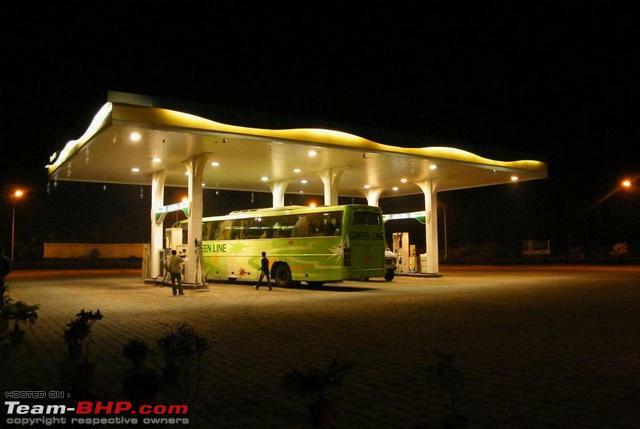 A majority of petrol pumps shut shop after midnight. Filling the tank up as soon as it reaches the 40 - 50% level is a good idea. Keep your low beam on at all times. NEVER drive without your headlamps on, or with them only in the parking / pilot lamp setting. Use your high beam when the conditions mandate it, but never when you have oncoming traffic. Be courteous with your headlamp usage. Immediately switch from high beam to low beam when someone is opposite you. For your own good, you don’t want to blind oncoming vehicles. Also, don't follow someone with your high beam on, as it will blind them (through their ORVMs). If driving with a full load of passengers or cargo, the weight in the rear tends to make the headlamps point skyward. Use the headlamp level height adjuster to counteract this. "0" is the standard setting; you should increase the number to dip the beam further (as the weight at the rear of your car increases). When visibility is really poor (e.g. on a rough village road), hold the flash switch temporarily. 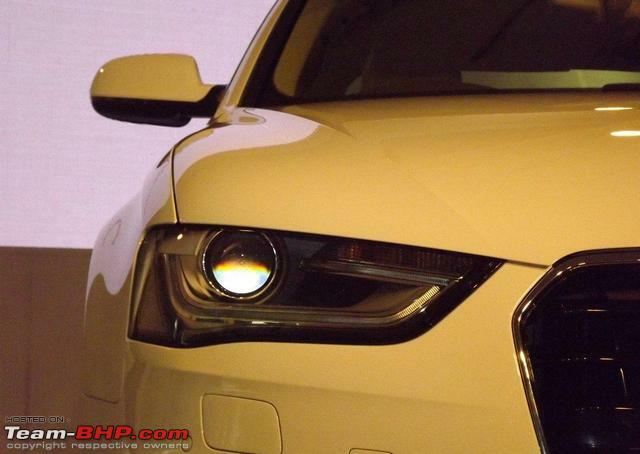 This activates low beam & high beam simultaneously, giving you roughly twice the light power. Do this only when there is no oncoming traffic. If driving in foggy conditions, use your low beam & fog lights. High beam actually reduces visibility in fog, as most of the light gets reflected back by the fog. Use your rear fog lamp *only* when there is fog (or a situation of poor visibility). Rear fog lights are so powerful that they can take the attention away from your brake lights. If one of your headlamps goes bust, be sure to switch the front fog lamps on. This is to ensure that oncoming cars see two lights on either side of your car. Never look *into* the headlamps of oncoming vehicles; it’ll momentarily blind you. Move your gaze away from the bright headlamps. It's best to look down and toward the road in such conditions. Focus on the road markers. Indian roads today have much improved quality of markers. Flash once or twice to let the offending vehicle know of his blinding high beam. But don’t fight back with your high beam permanently on, as blinding him isn't good for your safety. If you are blinded, focus on the left side of your lane / road, and move as much to the left as you safely can. Again, use the lines painted on the road as a steering guide, but always be aware of the oncoming vehicle's position via your peripheral field of view. If oncoming lights really bother you, use another car / bus / truck as a lead vehicle. Stress levels are cut by 50% instantly, as long as you follow a well-driven lead vehicle at a safe distance. Our family calls this car the “sweeper” car as it will block oncoming headlamps, clear traffic for you and also give you ample warning of unmarked speed-breakers, potholes & sharp curves that might otherwise be missed. Of course, don’t follow a lead car blindly. If he drives off a cliff, you don’t want to follow him down. Other people's mistakes. The effect of poor driving skills is only amplified at night. You must leave a wide margin for other drivers' errors. Poorly illuminated roads. Especially watch out for dividers that start without any warning! An overloaded Jeep with 15 passengers and no headlamps, taking a U-turn through an unmarked gap in the road median. A broken down truck on the road, right in your path, with no parking lights on. You get the gist; expect the unexpected. Stay 100% focused & alert. Vehicles driving without rear lights (on your side of the road). Vehicles driving without front lights (on the opposite side of the road). Trucks & cars with only a single headlamp working. From a distance, these might be mistaken for a two-wheeler. Heavy rain. Torrential showers & the night make for risky driving conditions. Hit the sack and drive in the morning instead. Your life is worth it. Your eyes have to work harder when driving at night. Therefore, stop more frequently. Once every 60 – 90 minutes is ideal. Generously splash your face & eyes with water. Clean your lights (including headlamp & tail-lamps), mirrors (external & internal) and windscreen (outside & inside) each time you stop. Park entirely OFF the road (e.g. in a restaurant's parking lot). If you must stop on the highway, do so two car lengths ahead of a large vehicle parked safely with its lights on. Preferably, don’t let women step out of the car. Even if you stop at a dhaba, serve them their tea & snacks inside the car. Don’t show off your valuables (e.g. expensive watch, gold chain or cash-loaded wallet) where you stop. Treat the first yawn as a warning sign. If you are tired, stop at a hotel (preferred) or a safe dhaba, lock your car and go to sleep. Remember, even if you sleep at a hotel, you’ll still get home faster than in a hearse! Tips for reducing Driver Fatigue. Night Driving on Single Lane Highways. Spectacles or Lenses for Night Driving? Thank the Leading Car at night? Day Driving or Night Driving? On an ending note, and again, choose daytime driving over the night. 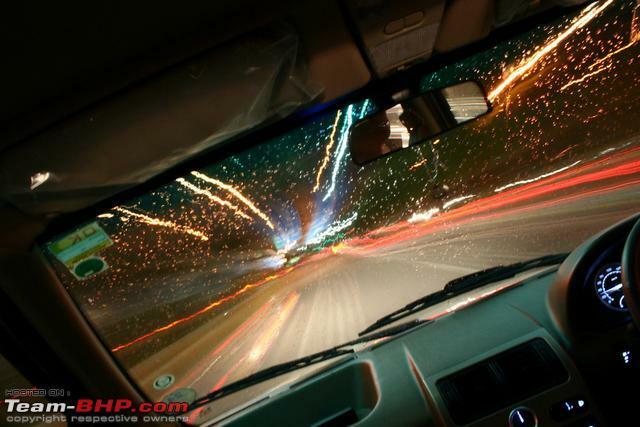 Road accident death rates are 3 times higher at night, according to the National Safety Council (USA). Drive Safe!